On this day (17th June) in 1943…. Kenley’s Canadian Wing engaged in an offensive fighter sweep over France, which turned into a huge, confusing dogfight involving 80-100 FW190s of JG26 and 24 Spitfires. 403 squadron’s pilots all made it back to Kenley safely, except F/O Marshall who landed at Redhill because his Spitfire had been damaged in combat. 421 squadron were less fortunate, losing Squadron Leader Phillip L. I. Archer DFC, and Flying Officer James E. McNamara in the area of St. Omer, France. PHILLIP LESLIE IRVING ARCHER was born on the 10th February, 1917, in Bridgetown, Barbados. He was the son of Frederick Leslie Archer (a famous cricketer) and Millicent Beryl Archer, of Hastings and Belleville, St. Michael, Barbados. He left Barbados for Canada in 1936, to study Agricultural Science at McGill University. He was described as a quietly-spoken, dark-haired youth who specialised in Bacteriology. A month after graduating with a B.S.c., he joined the Empire Air Training Scheme, enlisting in Montreal in June 1940. Having earned his wings, he was posted overseas in February 1941, and joined 92 squadron on the 5th May. He was transferred to 412 and then 416 squadrons, by which time he had started to build up an impressive record in combat. On the 13th June, 1943, he was promoted to Squadron Leader and attached to 421 squadron, taking command on the 17th June – the day he was killed in action, flying Spitfire Mk.IX LZ996. His final tally was six enemy aircraft destroyed, the final FW190 on the day he died, though later research shows that this may have been a collision. He was laid to rest in Longuenesse (St. Omer) Souvenir Cemetery, Pas de Calais, France. Plot 8. Row A. Grave 1. Phillip was 27 years old when he died. JAMES EMMETT MCNAMARA of Northcliffe Avenue, Montreal, worked at the Royal Insurance Company, prior to enlisting in the RCAF, in September 1941. 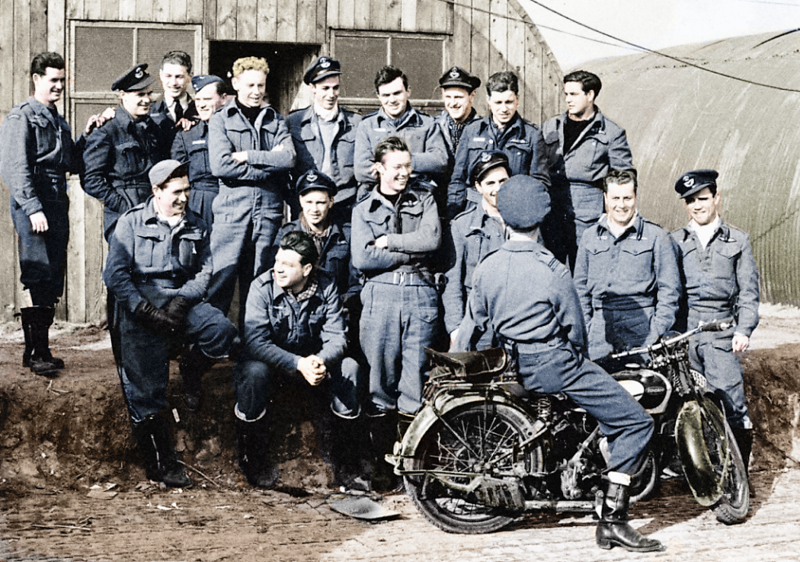 He was posted overseas, won his Commission in July 1942 and was promoted to Flying Officer in January 1943. Details about his life are hazy, but he may have served in Malta and had a brother called Howard, who also served in the RCAF. He was flying, Spitfire IX, BS319, when he was killed in action on 17th June, 1943, during Rodeo 231. Having no known grave, he is commemorated on Panel 174 of the Runnymede Memorial. Rest in Peace gentlemen, and thank you for your service. Here is the entry for Thursday 17th June, 1943, from the 403 squadron Operations Record Book. Archer is mentioned, despite being from 421sq, because F/O Marshall sees him go down. McNamara’s loss isn’t recorded here. It was 5/10ths cloud and very windy today. Rodeo 231: W/C Johnson led the Wing whose role was Third Fighter Sweep. They crossed Dover at 15,000 feet and entered France at Gravelines at 24,000 feet. Thirty plus enemy aircraft were sighted West of Ypres. The W/C took 421 down onto these enemy a/c and 403 Squadron followed down to act as cover. After the first attack, 421 Squadron climbed back to reform and Yellow 3, F/O Marshall identified S/L Archer of 421 Squadron as the a/c that was flying along side him at this time. They were flying at about 21,000 feet when Yellow 3 noticed 2 FW 190s closing in on this 421 Squadron a/c and he was about to call for a break when he himself was hit, forcing him to break to the port and up rapidly. No more was seen of S/L Archer. F/S Shouldice, who at this time saw a FW 190 attack Yellow 3, fired Cannon and MG at him from 200 yards before his own section was attacked by five or six enemy aircraft and so F/S Shouldice broke to the port without observing any results of his fire. P/O Bullick of 421 Squadron saw a FW 190 with bits flying off it, streaming black smoke and going straight down. Since no other attack was made at this time by any other pilot of the Wing, F/S Shouldice is credited with destroying this FW 190. Blue Section, led by F/L MacDonald, came out of France at Sangette at about 16,000 feet while the rest of 403 Squadron turned back into France at Cap Gris Nez to allow Yellow 3 and 4 to catch up before they all returned to England, crossing between Dover and Folkstone. At 1605 hours, eleven of our aircraft landed back at base, while F/O Marshall, Yellow 3, landed at Redhill. He was uninjured but the a/c was damaged by enemy action and was a Cat B. There was heavy flak, accurate for height and position, from St. Omer and also some flak thrown up from Gravelines. There were only two non-operational sorties today. Je suis à la recherche d’informations au sujet du pilote : Donald John Shapter, J/35505, 403e Escadron de l’ARC (code KH). Mort le 14 juillet 1944 sur la commune de Saint-Lambert dans le Calvados, Normandie, France. Je fleuris régulièrement sa tombe dans le petit cimetière de St-Lambert, mon devoir de mémoire. Voilà je vous remercie d’avance. 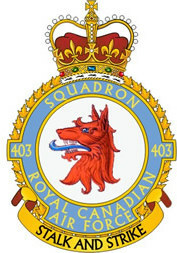 I am looking for information about a pilot: Donald John Shapter, J/35505,403 RCAF Squadron (code KH). He died on 14 July 1944 in the commune of Saint-Lambert in Calvados, Normandy, France. I regularly place flowers on his grave in the small cemetery of St-Lambert, this is my duty to remember. Many people in France still remember the Fallen. A lady in France is doing the same with Leclare Walker. Ronny Bosmann does the same in the Netherlands remembering Admiral Byrd. These are two pictures of Donald John Shapter, J/35505. First when he was not still a commissioned officer. Donald John Shapter, J/35505 earned his wings at No.6 SFTS Dunnville. Donald Shapter is remembered on the Canadian Virtual War Memorial. Son of the Revd. Charles P. Shapter and Margaret M. Shapter; husband of Elizabeth Jean Shapter, of Toronto, Ontario. Commemorated on Page 440 of the Second World War Book of Remembrance. Request a copy of this page. Location: St. Lambert is a village and commune 20 miles (32 kilometres) south-west of Caen, 25 miles (40 kilometres) south-south-east of Bayeux, and 6 miles (9 kilometres) south-west of Thury-Elarcourt. This is a small town on the N.162 Caen to Flers road, 16 miles (26 kilometres) south-south-west of Caen. There is 1 Commonwealth burial of the 1939-1945 war here, in the north-west corner of the churchyard. I guess Jacques will be sending me a picture of Donald Shapter grave. A picture on the Canadian Virtual War Memorial? Une photo prise sur Le Mémorial virtuel de guerre du Canada? A view of a cemetery? Une video amateur sur YouTube?